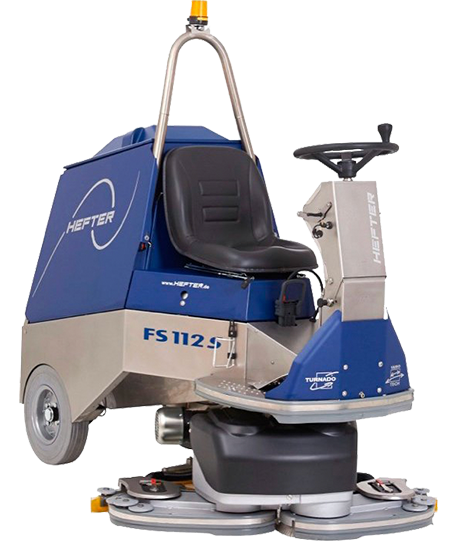 For professional floor cleaning we recommend from HEFTER cleantech a high-quality scrubber-drier which fits exactly to your individual needs and is equipped with our special, self-developed technologies. 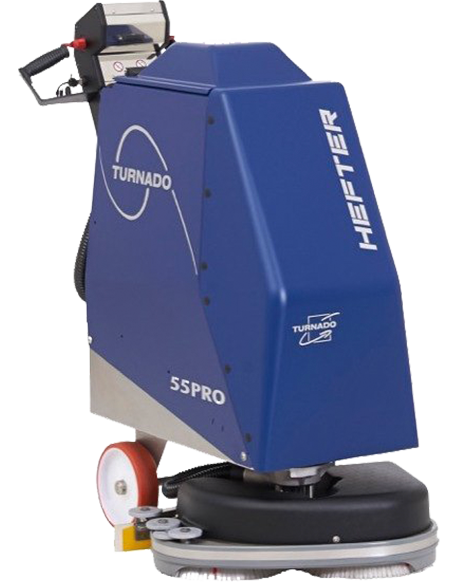 Our range includes compact units such as the TURNADO® 35 as well as the TURNADO® 55 SV, which is especially suitable for use in swimming pools, as well as large ride-on machines – for example the FS 112, which theoretically cleans almost 9000 square meters per hour. 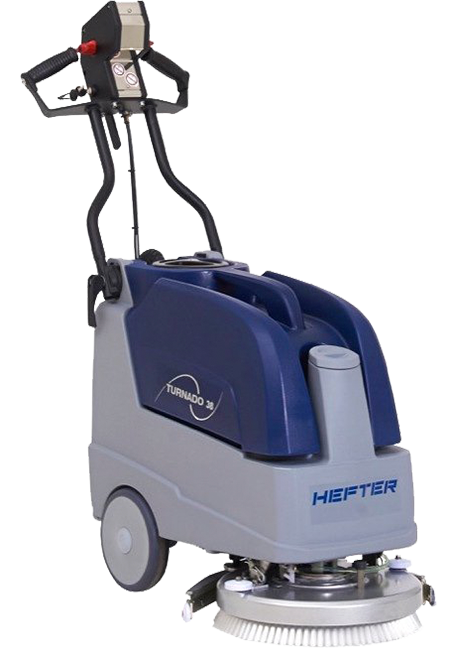 Thanks to our unique technologies, we can offer you cleaning machines that not only make your job easier, but also make them more efficient and economical. 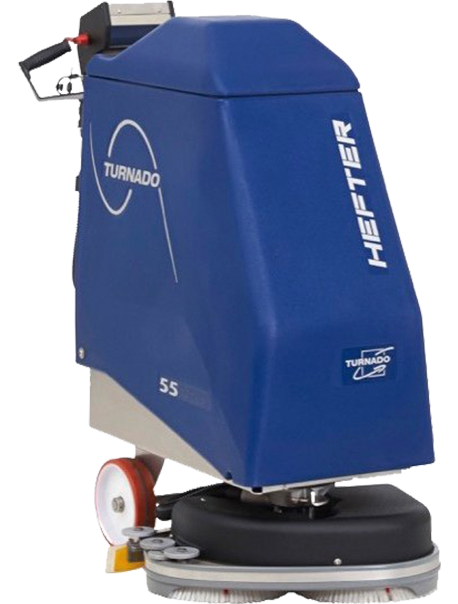 The TURNADO® technology is characterized by a scrubbing and suction head, which can be rotated by 200 ° or even 360 °, depending on the variant. 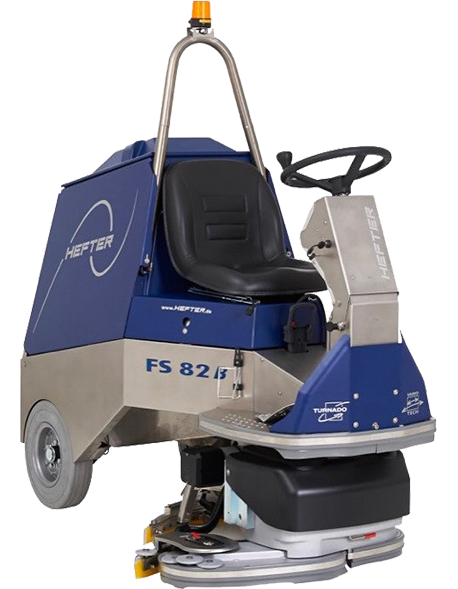 This means that the floor can be optimally cleaned in any direction, even when reversing. The cleaning process is considerably shortened. 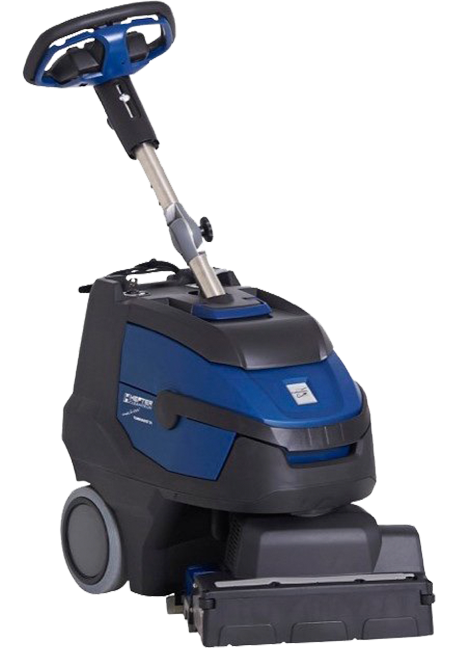 A similar effect is provided by the patented VARIOTECH® technology, which automatically adjusts the width of the suction and scrubbing unit to the given profile of the surface. 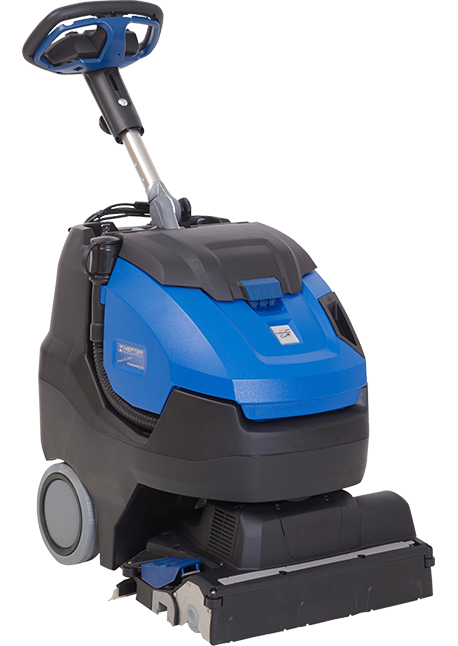 Even hard-to-reach areas are easily cleaned. 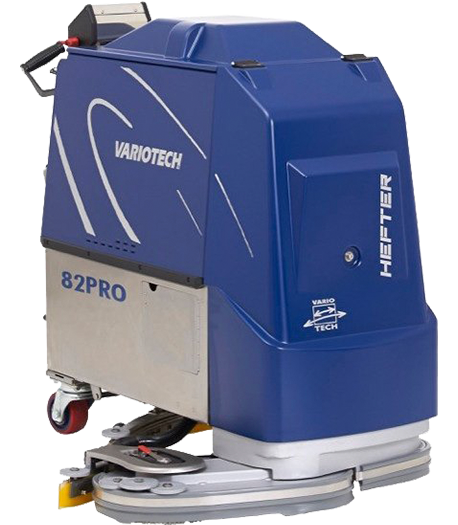 The total cleaning costs are reduced by up to 30% through the use of VARIOTECH® scrubber-driers. 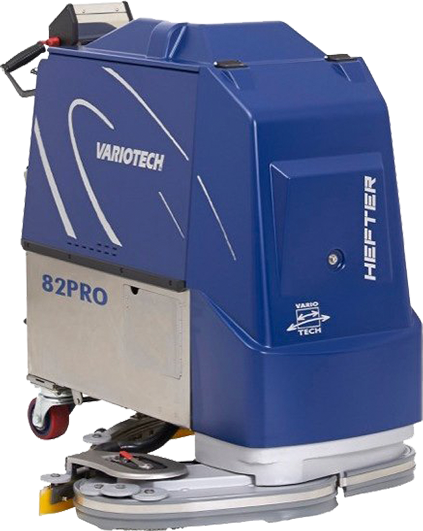 The CONVERT® 82 impresses with the versatility of its carrier system. 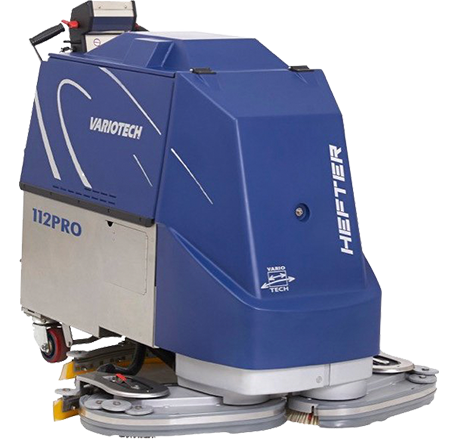 Thanks to our CONVERT® technology, the processing units, which are each suitable for scrubbing, polishing and sweeping as well as for crystallization, can be exchanged easily and quickly. 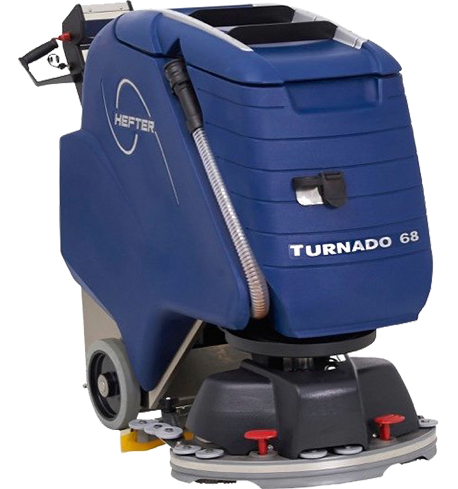 It reduces investment for separate floor cleaning or processing systems. 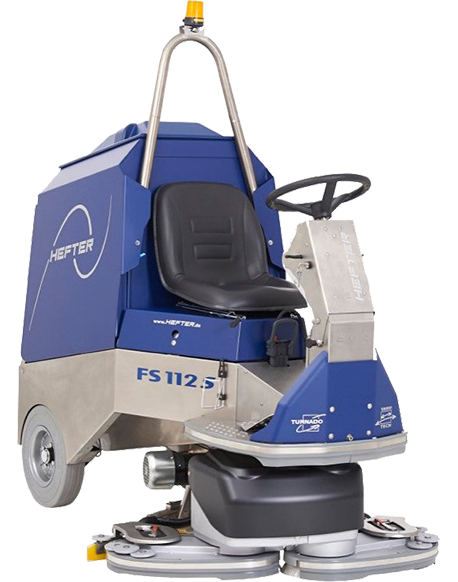 In order to enable operation around the clock if required, this scrubber-drier works with the QUICK-CHANGE® principle. This ensures a battery change within a few minutes. 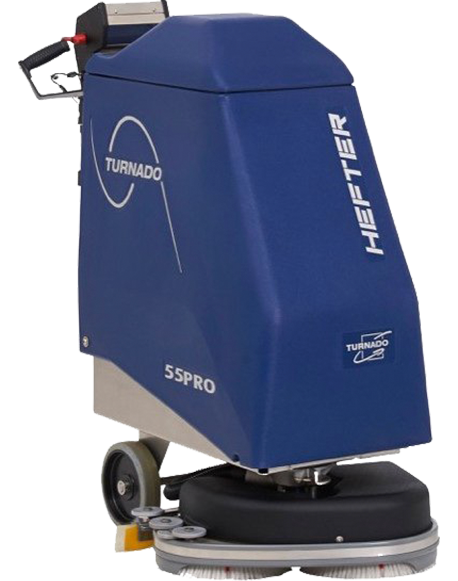 Do you still have questions about our technologies and the different models? Ask us!